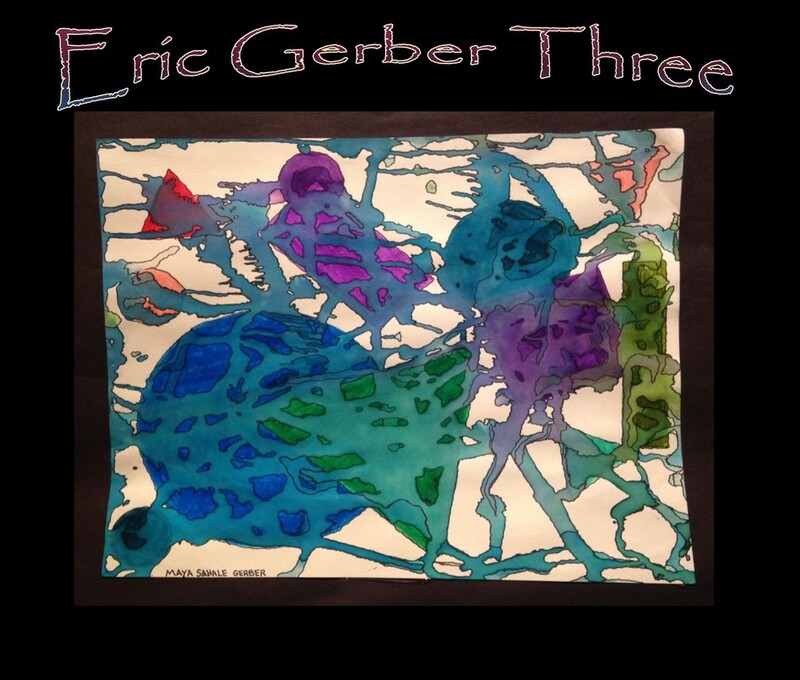 New album, Eric Gerber Three now available! Click the picture of the cover to be taken to the CD Baby page to listen to samples and to purchase either a CD or a digital download! Get your Eric Gerber Three Merchandise here! Shirts, phone cases, mugs, miniskirts, etc. The Eric Gerber Three plays original music as well as music by songwriters who might not be so well recognized (Greg Brown, Jonathan Byrd, Jack Williams, Steven Barkhimer, Carl Cacho-Negrete, Neale Eckstein, etc. ), as well as covers of The Grateful Dead, Bob Marley, Bob Dylan, Guy Clark, Peter Rowan, and more. We play intelligent singer-songwriter music with an improvisational spirit where you never know how we'll play it next time! That's why we call it FolkJam! The bandleader is Eric Gerber on finger-style guitar and lead vocals, with Jeff Hogan on a large variety of percussion instruments including udu, cajon, chimes, bells, brushes, shakers, rain stick, and thunder tube, Greg Lowry on banjo, dobro, accordion, mandolin, melodica, harmonica, keyboard, xylophone, etc. Special guests include Mick Vredenbergh on cello and Val Roessling on electric guitar. Eric Gerber Three– Eric only wrote four of the twelve compositions on this disc, but the country blues instrumentals put together by Gerber and his collaborating musicians are worth a solid listen. Gerber picks on Greg Brown for four of his covers, delivering a fantastic version of “If I had Known” and an eerie, cello driven “Think About You.” Gerber’s “When Push Comes to Shove” and “Don’t Ask Me How” deliver that feel good, sitting on the porch, laid back mood. “What’s in Your Bag”, derived from Eric’s life as a teacher, is worth the price of the disc on its own. Gerber recounts the lives of different children that each has his own set of issues and how each deserves to be treated with love and sympathy. “Three” features some great performances on dobro, accordion, cello, guitar, and percussion for a mellow collaboration to sooth the savage beast. 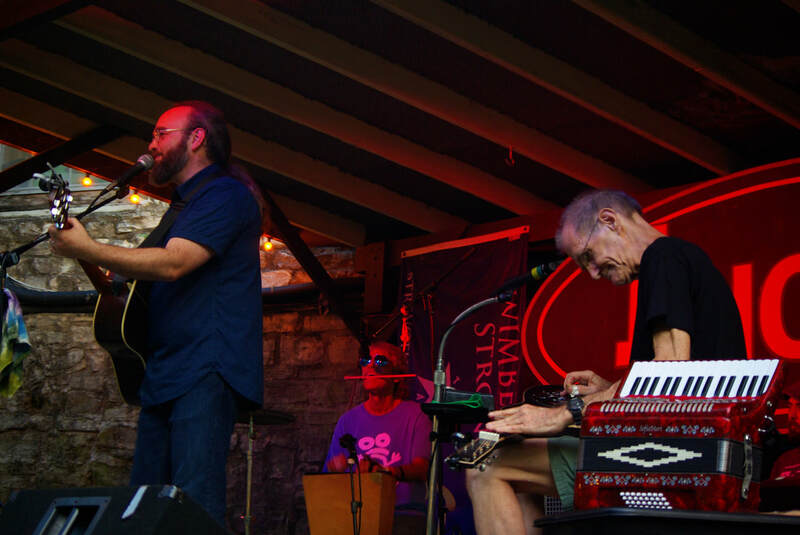 ​ Listen to your local Folk Radio program or podcast in the coming months! Solo CD's by Eric Gerber are available for purchase under the "More" tab at the top of the page.